As Jomblang cave becomes more popular among tourists, many people look for the information of the entrance fee to this astounding cave, and perhaps you too. Thus, we are pleased to offer you a special affordable package for visiting this natural tourist object. This is the newest Jomblang cave tour package we offer. As one of the vertical caves with the best view in Gunungkidul, Jomblang cave presents a unique view of the form of limestone rocks, ancient forests, stalactites, stalagmites and underground rivers that flow into the sea. 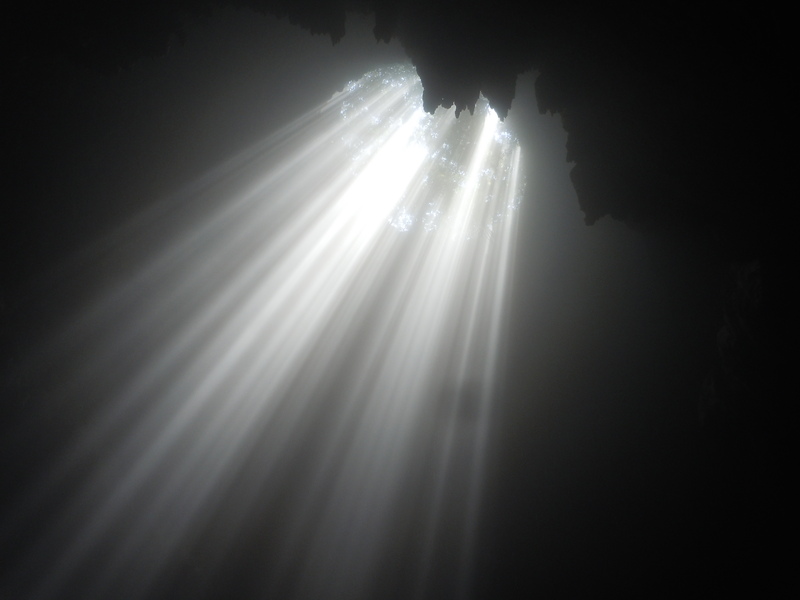 This cave is directly connected to other vertical cave, the Grubug cave, which offers a beautiful view of the silhouette of our body, highlighted by an incoming light from the mouth of the cave, which is called heavenly light. Jomblang cave trip starts by rappling down this 80-meters vertical cave using Single Rope Technique (SRT). After reaching the bottom of the cave, an ancient forest scenery awaits us with all its uniqueness. After that, the caving will continue by walking through a horizontal cave filled with stalactites and stalagmites, in the area of Global Geopark Network. Our Jomblang cave tour packages opens every weekend, Saturday and Sunday, best time will be around 10.00 to 12.00 pm, because at this time, the sun is directly overhead, which will create beautiful and unique light beam. For that, picking-up from the hotel is done the morning due to the lenght of travel from Yogyakarta to Goa Jomblang requires approximately 2 hours drive. To increase the satisfaction of your holiday in Gunungkidul, Yogyakarta, after Jomblang Cave tour, we will have lunch with a typical menu of Gunungkidul, that is brown rice. Curious about the taste and shape? After lunch, we will go to the white sand beaches in Gunung Kidul, namely Pok Tunggal Beach and enjoy the beautiful waves of the southern coast.